I am going to do a few pieces on libertarian versus conservative thought. This is not a bonafide series, but I do want to cover some of the key issues that separate conservatives and libertarians philosophically, and explain why I embrace the libertarian viewpoint over the conservative one. 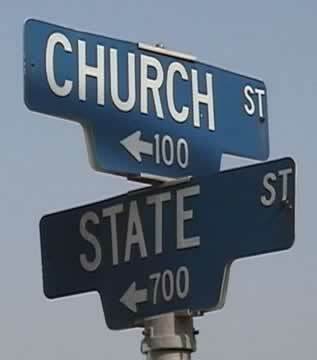 One of these issues I run into the most is the idea of separation of church and state.